Maybe you just wanna stream Apple Music to Roku but it seems to have a restriction on them. Is there any way to unlock them? Roku (Roku Streaming Player), as a series of digital media player set-top boxes, is capable of playing streaming music and video, also your photos. 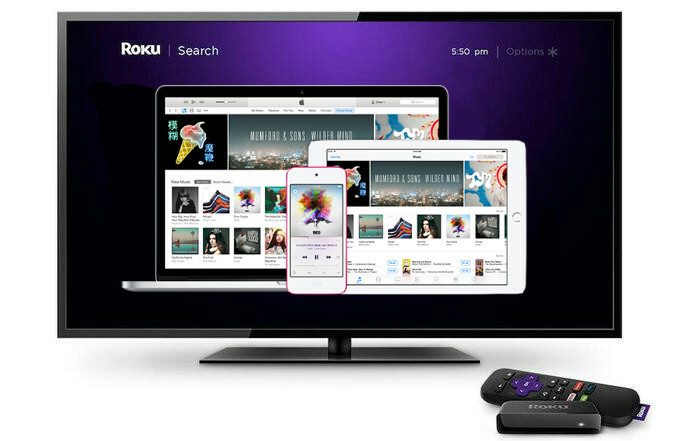 The streaming music services supported by Roku includes Pandora, Spotify, iHeart Radio, Amazon Music and more (https://channelstore.roku.com/browse/music), but Apple Music is not mentioned in this list. So this page shows you a guide on playing Apple Music songs on Roku as your home's music hub. Because Apple Music application did not join in Roku and we have no direct way to access it on Roku, in addition, all Apple Music songs are DRM-ed M4P files which are not supported by Roku for playback. We just glance at the table below and only to find that M4P is not included in the list. Is There Any Way to Stream Apple Music Songs to Roku? Even though the Apple Music songs can't be played directly on Roku, there is still another way out to make up for your regrets, especially you can large libraries in which you download many Apple Music songs but suffer from the streaming restrictions like playback and transmission. The way let you out is removing the DRM protection from these songs you download from Apple Music to make them become personal and converting them to the audio format supported by Roku. So it is important to find a decent Apple Music converter to relief your worries. 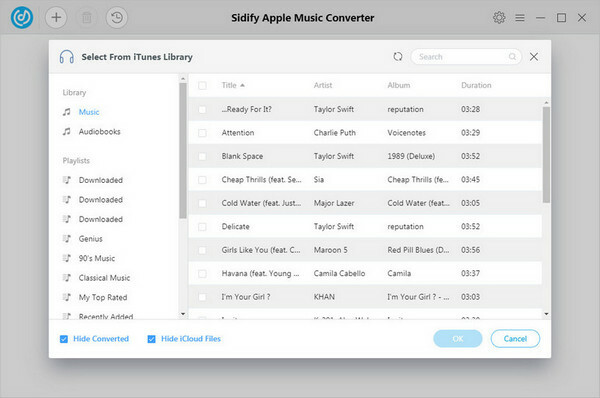 Here you can try Sidify Apple Music Converter if you haven't. 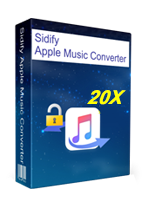 Why Choose Sidify Apple Music Converter? Remove DRM from Apple Music, iTunes M4P Music and Audiobooks. Convert Apple Music songs to plain formats like MP3/AAC/WAV/FLAC. Preserve the 100% lossless quality & faster conversion speed. Keep all ID3 tags and for better organizing music library. Highly compatible with Windows and Mac OS & iTunes. Here we will take Windows PC as an example. 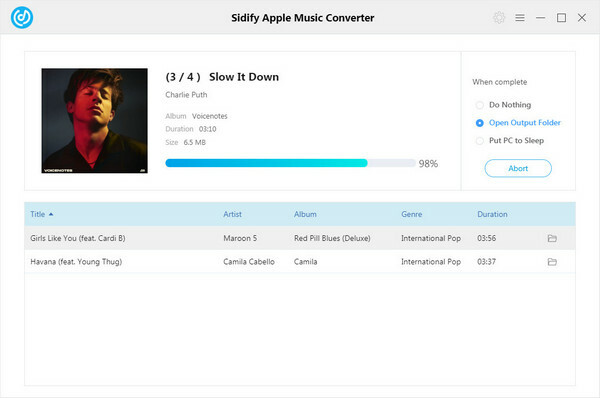 Please launch Sidify Apple Music Converter after installation, then click to add Apple Music songs to Sidify. And the Apple Music songs you downloaded will be listed like the picture below. You can click button on the top right of Sidify interface to set the output format as MP3, AAC, WAV, FLAC and output quality up to the highest 320 Kbps. After all the setting done, you can click "Convert" button to start converting Apple Music songs you added. And all the converted Apple Music files can be found by clicking button. 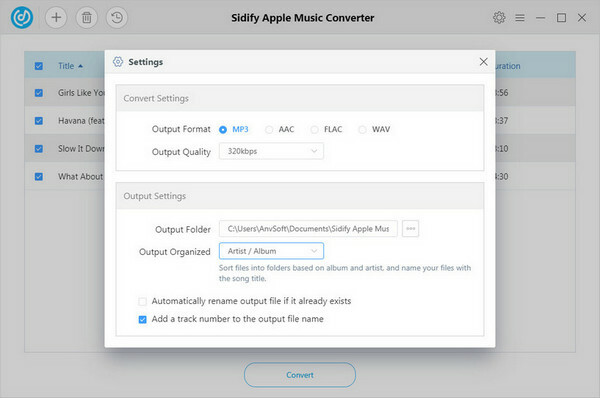 Now, the Apple Music songs you converted with Sidify Apple Music Converter are saved on your personal music library and it’s easy to stream them to Roku with the flexible options. Fox example, you can store the converted Apple Music songs to USB drive and then connect it to Roku for playback with media player like Roku Media Player, PlayOn, Plex and more on Roku Channel Store. 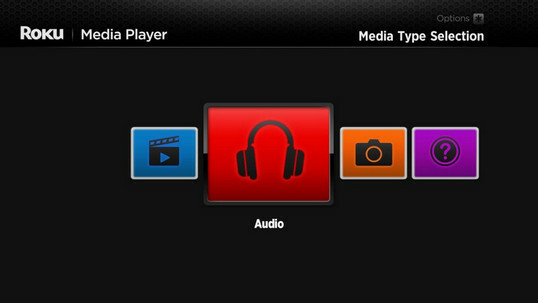 Roku Media Player allows you to listen to your music files, watch your own personal video files, and view photos by using the Roku device’s USB port or by accessing a media server on your local network. DLNA also enables sharing of content like music, videos and photos between devices connected over a network. To play content stored on another device or computer on your Roku device using DLNA, the other device must be running DLNA server software and must be on the same network as your Roku device. 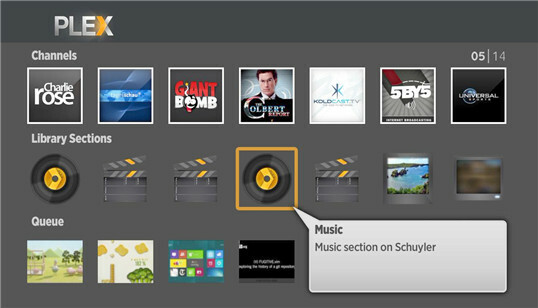 Plex usually comes preinstalled on Roku and you can download the Plex Media Server program for your computer, and follow the instructions to sync music, videos and photos. Then link your account by entering a code and now you can listen to the music from your computer on Roku.